Wood Grinding, Land Clearing, Small Lot/Selective Clearing, and Commercial Snow Removal! Please call us at 804-752-4854 to discuss these services. Hanneman Forest Products is proud to carry lawn and garden beautification enhancements, topsoil, soil amendments, and stone for all your landscaping needs and wants! We are confident that you will be pleased with our variety of quality products, friendliness, and service. Thanks for visiting our site! 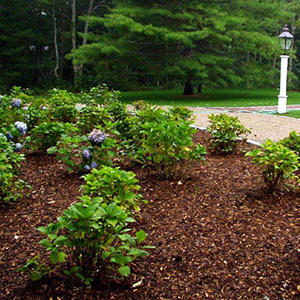 Hanneman Forest Products proudly provides a variety of mulch choices. You decide which product is the best fit for you and your yard. The color-enhanced mulches can be purchased in brown or black. We also carry pine bark shredded mulch and double shredded hardwood bark mulch. 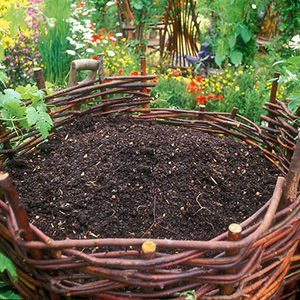 Hanneman Forest Products obtains the best organic compost, currently from McGill Compost. It is loaded with nutrients and humus to make the plantings in your yard GROW!! 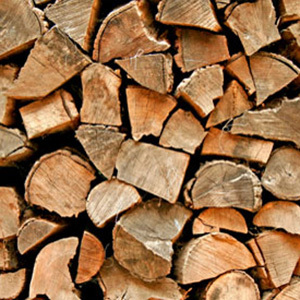 Hanneman Forest Products has been splitting firewood since 1995. Donna used to hand split the firewood while our two sons were napping. Today we have machines that do the hard work, but the pile is always split and seasoning over the summer. We are happy to deliver you firewood which is sold by the cord and half-cord. Stacking can be arranged for an additional fee. We also package the firewood into bundles and then sell to various stores around town and in the Tidewater Area. Packaged firewood is easy to handle, makes great gifts, and is ready to burn! Our primary focus is providing you with the highest quality forest and landscaping products at the best possible price. Whether a professional landscaper or the at-home gardener you can rest assured that our products meet the highest quality standards.